Bushnell Farm hosts Frost Season: The Poetry of Robert Frost in Song and Story, Sunday. This is a free program. The public is welcome. Parking available on-site. For more information, call (860) 767-0674. 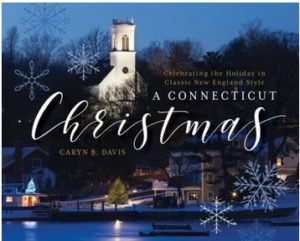 ESSEX — A Connecticut Christmas: Celebrating the Holiday in Classic New England Style by Chester resident and photographer Caryn B. Davis, with accompanying essays by author Eric D. Lehman, was released this week by Globe Pequot. Davis will be at The Griswold Inn Store: Goods & Curiosities located at 47 Main Street in Essex, on Sunday, Oct. 8, from 1 to 4 p.m. signing copies of her new book. A Connecticut Christmas is a photographic journey celebrating classic New England traditions, beauty, spirit, and community surrounding the holiday. From light displays to decorated churches and inns, spectacular private homes, festivals, carolers, town greens, and picturesque villages, this beautiful book of images takes readers on a magical holiday tour through the Nutmeg State. There is also an event and location listing in the back of the book that for residents and tourists who love all things Christmas which is why this book has an appeal beyond the Nutmeg State. A series of local book signings is planned — full details of more of these will be published on ValleyNewsNow.com as they become available. Davis began her career in the visual arts 30 years ago as a cameraperson, editor, and producer of documentaries. She has been a professional photographer since 2000, specializing in architectural photography. Her work has taken her to over 50 countries, and still counting. She often combines her images with words to create compelling articles that have been featured in more than 60 magazines. A Connecticut Christmas will retail at $26.00. Digging at the archaeological site at Wangunk Village. 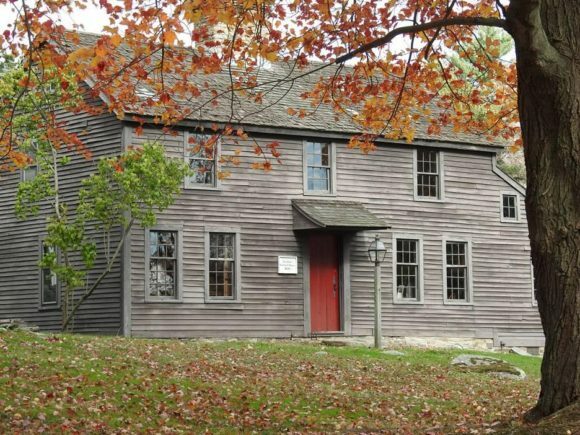 ESSEX — Learn about the rich histories of Connecticut’s first land stewards, vibrant Native Indian cultures just before and after European contact. Dr. Lucianne Lavin’s lecture will focus particularly on the Wangunks, a populous, powerful tribe with homelands on both sides of the Connecticut River Valley. This lecture is co-sponsored by the Essex Land Trust, the Essex Historical Society, the Deep River Historical Society and the Deep River Land Trust. The program takes place on Wednesday, Oct. 4, 7 p.m. at Essex Town Hall, 29 West Avenue. Lucianne Lavin is Director of Research and Collections at the Institute for American Indian Studies, a museum and research and educational center in Washington, CT. She is an anthropologist & archaeologist who has over 40 years of research and field experience in Northeastern archaeology and anthropology, including teaching, museum exhibits and curatorial work, cultural resource management, editorial work, and public relations. 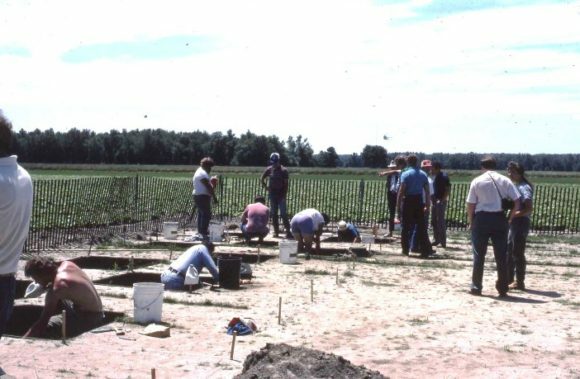 Dr. Lavin is a founding member of the state’s Native American Heritage Advisory Council and Editor of the journal of the Archaeological Society of Connecticut. Dr. Lavin is a Connecticut born resident, having lived much of her life in the lower Housatonic River Valley. AREAWIDE — The Rockfall Foundation has announced the Virginia R. Rollefson Environmental Leadership Scholarship, which recognizes an area high school student who demonstrates leadership and initiative in promoting conservation, preservation, restoration, or environmental education. One $1,000 scholarship will be awarded to an eligible student residing the Foundation’s service area, including Chester, Clinton, Cromwell, Deep River, Durham , East Haddam, East Hampton, Essex, Haddam, Killingworth, Lyme, Middlefield, Middletown, Old Lyme, Old Saybrook, Portland, or Westbrook. Students must describe their role in an environmental project and its impact. Applications are due by 4 pm on Friday, March 2, 2018. The scholarship is named in honor of former Executive Director of The Rockfall Foundation, Virginia R. “Ginny” Rollefson, who retired in 2010 after 24 years with the Foundation. The award honors her long service to the Foundation, her enthusiasm, and her belief that we all benefit when young people are actively engaged in making their communities a better place to live. For a copy of the application or for more information, visit www.rockfallfoundation.org or call 860-347-0340. DEEP RIVER — Winter is fast approaching! If you are looking for a reason to clean out your clutter, Deep River Elementary School Parent Teacher Organization (DRES PTO) has a way to help each other and it costs you zero dollars, What’s more, it will brings in hundreds of dollars that can be spent on the students. It’s time to get rid of all the clothes that your kids have outgrown and DRES PTO has an easy solution for you. Beanie Babies taking over your home? Toss’em. Playroom too cluttered? Just rake it up. If you haven’t worn it in two years, get rid of it. If it doesn’t fit or make you feel fabulous, bag it up and drop it off in our covered container generously donated by Calamari Recycling. Where: 56 High Street, TriTown Youth Services parking lot. When: from 8 a.m., Monday, Oct.16 to 1 p.m., Friday, Oct. 20. How does it work? You clear out your closets, bag up your items in kitchen garbage or contractor bags and drop them off in our container. On the Oct. 20, a truck will come from A&E Clothing. Kids and PTO parent volunteers load up the truck which goes back to a facility in NJ. All the items go in a “cage” on a scale. 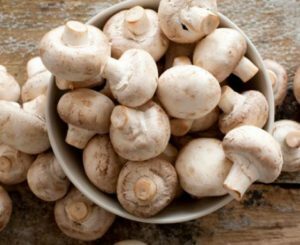 A&E pays us by the pound (about 50 cents) then resells the items for about $1 per pound. You feel good because you can finally see the floor of your closet and you helped a worthy cause. DRES PTO feels good because they can buy educational items for students. It’s just a win-win all around. Used goods accepted: Clothing, linens, curtains, shoes, belts, handbags, sports equipment, TOYS (hard or soft, including stuffed animals), small rugs, art supplies. Not accepted: anything breakable, no glass or china, no electronics or any kind of appliance. No books, board games, puzzles, bikes, furniture or large items. You are respectfully requested to adhere to these restrictions. Last year we had a record number of donations, but unfortunately, many bags included unacceptable items so we received no money for them. All used goods must be bagged in large kitchen or contractor bags. No boxes. The DRES PTO provides curriculum and social enrichment activities as well as support for the administration, faculty, and staff of Deep River Elementary School. Recent items purchased by the DRES PTO include: class room air conditioners, court yard picnic tables, school furniture, recess equipment, monkey bars, and Day of the Arts performers. All proceeds from the Used Goods Drive will be used to support the school and its students. We thank you all for helping our kids. 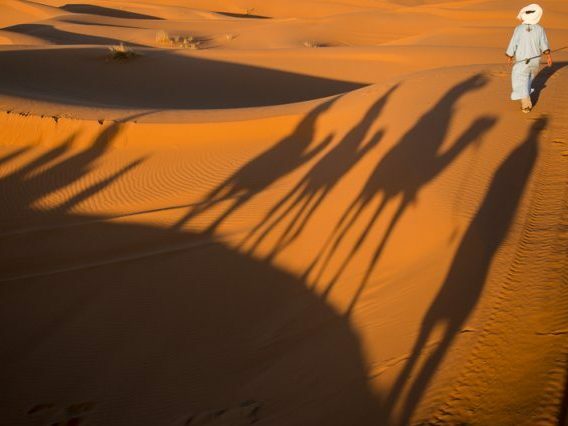 AREAWIDE — The guest speaker at next Monday’s (Oct. 2) meeting of the Connecticut Valley Camera Club (CVCC) will be award-winning photographer/videographer David H. Wells, who will give a presentation titled, “The Tools of Travel Photography.” The meeting will be held at 7 p.m. at the Lymes’ Senior Center, 26 Town Woods Rd., Old Lyme, Conn. All are welcome. Wells became the photographer he is today by first trying on the styles and/or methods of other well-known and historic photographers. Then he mastered the challenging discipline of color slide film. He fused all of these experiences, over 30-plus years, to develop his own style, built on a mastery of light, exposure and tonality, framing and composition with predictable and consistent control over focus and depth of field. 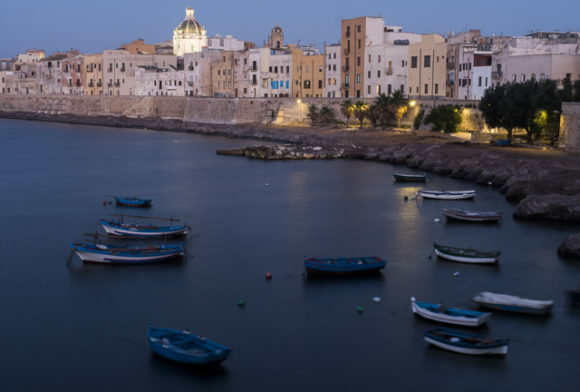 His work has been featured in more than 50 exhibitions and he has taught workshops at the International Center for Photography in NYC and at the Maine Media Workshops. He has received two Fulbright fellowships, a grant from Nikon/N.P.P.A., a fellowship from the Pennsylvania Council on the Arts and fellowship from the MacArthur Foundation’s Program of Research and Writing on International Peace and Cooperation. For more information on David H. Wells, visit his website. Connecticut Valley Camera Club is dedicated to offering its membership the opportunity to become better photographers. The club offers a variety of presentations and interactive workshops to help members expand their technical and creative skills. Photographers of all levels of experience are welcomed. The club draws members from up and down both sides of the river, from Middletown to Old Saybrook; from East Hampton to Old Lyme; and along the shoreline from Guilford to Gales Ferry. East Haddam — Multi-talented artist Aly Maderson Quinlog begins her four-week residency at I-Park this week, thanks, in part, to a grant from the Community Foundation of Middlesex County/Ann and George Petry Fund, Loffredo Performing Arts Fund. The grant, which was bestowed on I-Park earlier this year, helps to underwrite the cost of a residency in the visual arts for a Middlesex County resident. Quinlog, who lives in Essex, was selected for the residency by an impartial jury of visual artists appointed by I-Park. 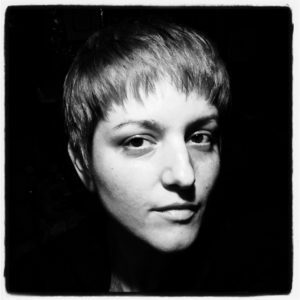 A native of Charleston, S.C., Quinlog received her BFA in Photography from Winthrop University and went on to receive a Post-Baccalaureate certificate in Painting from the Lyme Academy College of Fine Arts and a Masters in Art Education from the Rhode Island School of Design. Her work is exhibited in coastal Connecticut and New York City, and will be on view Sunday, October 22, from 2 to 5 p.m., as part of I-Park’s monthly Open Studios program. The event is free; for details visit i-park.org. Community Foundation of Middlesex County is a nonprofit organization dedicated to improving the quality of life in Middlesex County. Its mission is to work with charitably-minded individuals and organizations to build permanent endowments and other charitable funds and to support local nonprofit organizations through effective grant making to address community needs. Since its founding in 1997, the Community Foundation has provided 1,815 grants totaling more than $5.4 million to nonprofit organizations for the arts; cultural and heritage programs; educational activities; environmental improvements; and for health and human services. OLD SAYBROOK — Photography and paintings by Carin Roaldset, pictured above, are on display through Dec. 31, in the Marshview Gallery in Old Saybrook. Carin Roaldset enjoys illustrating the beauty of nature with the help of her camera lens. However, after taking a class in abstract painting, she discovered that she liked painting as well. Simultaneously her photography found more nonfigurative subjects and this is the path she is currently pursuing. Her subjects are mostly nature (close-ups, landscapes, seascapes) and abstracts. Roaldset belongs to the CT Valley Camera Club and the Essex Art Association. 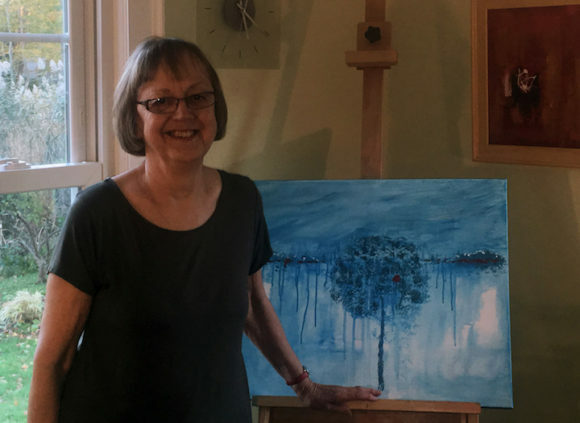 Her art has been displayed at a number of juried shows in Connecticut and she has had several solo and group exhibits on the Shoreline. Her photography has illustrated three books. Roaldset is the photographer for the Essex Savings Bank’s calendar for 2018. OLD SAYBROOK — Acton Public Library at 60 Boston Post Road, Old Saybrook has a plethora of events coming up for adults in November and December. Financial Fraud Bingo: Thursday, November 9th, 1:30 p.m. Afraid of being scammed, defrauded or using the Internet for business? Kathleen Titsworth, Banking Outreach Coordinator from the Connecticut Department of Banking, Government Relations and Consumer Affairs, will join us for a fun and educational learning experience. Lights.Camera.Acton! Friday, November 17th, 1p.m. Sully starring Tom Hanks (note change in day) and December 8th, 1pm Florence Foster Jenkins starring Meryl Streep. LOTUS FLOWER LANTERN CRAFT WORKSHOP: Saturday, November 18th, 1-2 p.m. create a Lotus Lantern, enjoy a short documentary about Korean Arts and Culture, and sample traditional Korean desserts! Registration required. Limit 50. Italian Film Cineclub: Seduced and Abandoned, Tuesday, Nov 7th and Divorce: Italian Style, Tuesday, Nov 14th, Nights of Cabinia, Tuesday, November 21st. All showings at p.m.
Voices Beyond the Wall: Saturday, November 25th, 1 p.m. Spencer Reece, poet and priest, conducts a film screening, discussion and book sale on his time spent in Honduras. Financial Health and Wellness: Monday, November 27th 6 p.m. Join us and representatives from Key Bank as they present an educational program on Health Savings Accounts. In this time of limited resources, health savings accounts may be the answer. Acton Goes to the Estuary, November 29th, 1pm George Balanchine’s “The Nutcracker” presented by Lincoln Center at the Estuary, 220 Main Street. DNA and Genealogy: Just the Basics, Please! Thursday, November 30th, 6 p.m. Want to know more about “getting your DNA done” and what you can discover about your family tree? Join our family research and genealogy specialist, Norma Wright, MLS, for a basic discourse on DNA, the companies that provide the tests, and what the results may look like. Meet and Greet: Tony Renzoni, author of “ Connecticut Rock ‘n’ Roll: A History” will be here for signing and purchase of his book, Wednesday, December 6th at 6 p.m.
Visit the Essex Steam Train’s Oliver O. Jensen Gallery for a unique display of local artwork from the Essex Art Association’s, Images of the Essex Steam Train & Riverboat. The exhibit is open to the public free of charge through Dec. 29 during Essex Station’s regular operating hours. Members of the Essex Art Association were invited to exhibit their work, all of which are for sale, in the Oliver O. Jensen Gallery in the River Valley Junction building at The Essex Steam Train, in Essex, CT. Their work represents the steam train, riverboat, or any of the structures located on the Essex Steam Train & Riverboat grounds. Visit the Images of the Essex Steam Train & Riverboat exhibit this holiday season for a delightful collection of original art, any of which would make the perfect holiday gift. Visit http://essexartassociation.com for more information. Dave Fowler hard at work on refurbishing a donated bike. AREAWIDE — ‘Bikes for Kids’ is holding its 2nd Annual Charity Ride on Sunday, Oct. 1. The charity which was founded by Chuck Graeb is now run by retired Lyme-Old Lyme Schools teacher Dave Fowler. 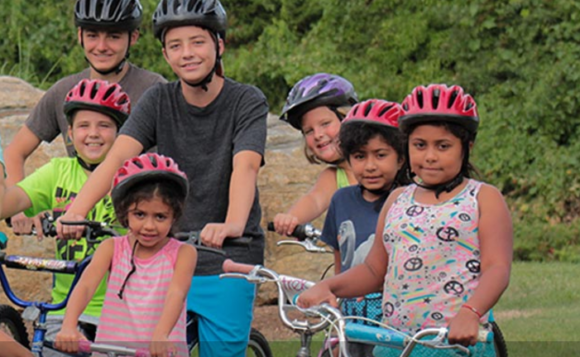 Bikes For Kids is a Connecticut based non-profit organization founded in 1989 that brings smiles to children one bike at a time. 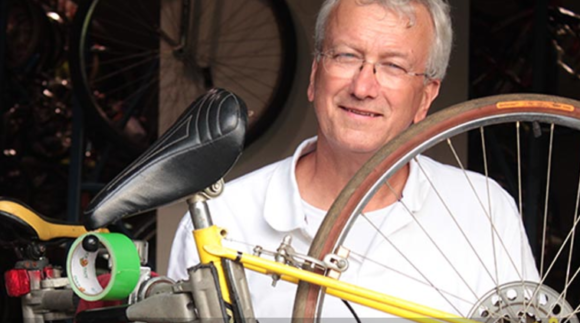 Volunteers collect, repair, and safety test donated used bicycles. The refurbished bicycles, along with new helmets, are given away to individuals of all ages and needs. Most donated bicycles remain in Connecticut, but some have reached children in other states and countries. More than 1,000 bicycles are given away annually. Requests for bicycles come from local and state social service organizations, churches, schools, non-profits, and individuals. 21,000 bicycles have been donated to date. Support this charity by participating in the Annual Charity Ride. All rides start in Essex. There will be four rides to choose from. The Family Ride will have two options – a 3-mile or a more challenging 12-mile ride. (for the die-hards) there will be a 55-mile ride through 7 towns. These rides go through some of the most beautiful sections of Connecticut’s River Valley. Depending on the route you select, you can ride through Essex, Deep River, Chester, Haddam, Killingworth, Westbrook and Clinton. After the ride, all cyclists are invited for food, fun and tours at the new ‘Bikes for Kids’ Wheelhouse in Essex. Visit this link to register for a ride. 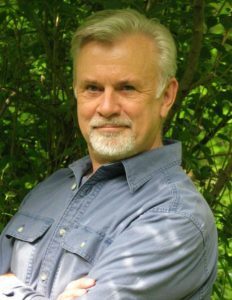 ESSEX — The Essex Library welcomes back James Benn in celebration of the release of his 12th Billy Boyle mystery. 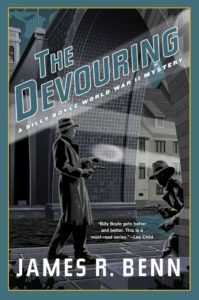 The Devouring has earned a starred review from Publishers Weekly and Booklist wrote in their review of the book, ​”Benn​ ​molds an entertaining story out of Billy and his cohorts’ encounters with odious Swiss bankers and a cadre​ of ​Gestapo agents stationed in Bern to protect the loot. Great history here.” Benn’s series is very popular with historical fiction fans, mystery readers, and military buffs. Benn will describe fascinating details from the actual events that he researched for the book’s plotlines and more about the upcoming books in the Billy Boyle series. The event is free and open to the public. For more information or to register, call the Essex Library at (860) 767-1560.